Apple has just pushed out a new firmware update with tvOS 9.2 for Apple TV 4 available to download now. The firmware update is accessible right now both as an over-the-air (OTA) option and as an update using Apple’s iTunes software on a Mac or PC. 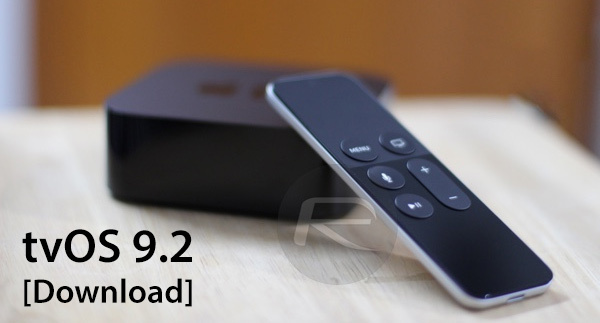 The immediate release of tvOS 9.2 represents the second major update that’s been applied to the fourth-generation Apple TV since it was introduced to the market late last year. Thankfully, at least from a consumer perspective, tvOS 9.2 comes with a number of new features that gives Apple TV 4 owners something to sink their teeth into, rather than simply being a firmware update that contains the obligatory “bug fixes” and “performance improvements”. One of the first things that will become immediately apparent after updating to tvOS 9.2 is the existence of app folders that mimic the functionality found within iOS on iPhones and iPads. This new folder experience allows Apple TV owners to group apps together however they see fit, as they currently do in iOS. This could be by app type, such as video streaming apps or gaming, or even alphabetically or by the color of the icon. It’s all down to personal preference. On the subject of apps, tvOS 9.2 also introduces a revamped – but iOS 9 like – app switcher that allows users to flick quickly between apps in the background and foreground. Also packed in is the Podcasts app that has been available on iOS for some time now. Some of the smaller, but still notable, improvements include additional support for Bluetooth devices that allows users to connect Bluetooth keyboards to the Apple TV with the purpose of allowing quicker, more efficient text input throughout the system. Apple has also bundled in a number of Siri improvements that now sees additional language support and dictation added to text-fields throughout the tvOS platform. It’s not only a more intelligent Siri, but a more capable one that should improve user efficiency. Finally, there’s a minor improvement from a framework perspective that could actually open up a whole new world of mapping experiences within third-party Apple TV apps. Developers now have access to MapKit within the tvOS SDK in order to produce apps that offer some kind of map-based functionality. 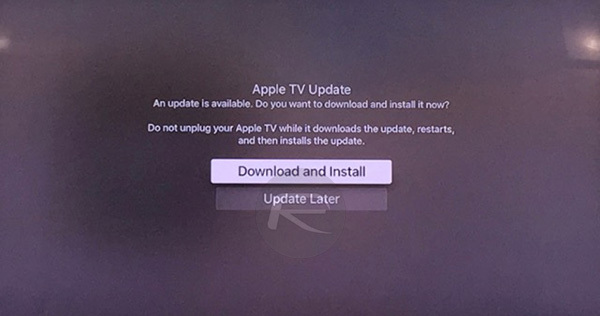 The easiest way to get access to this update is to over-the-air through the Apple TV Software Update mechanism. Head over to System > MAINTENANCE > Software Updates > Update Software to begin downloading and installing the update. For more detailed installation instructions, you can follow our guide here: How To Install tvOS OTA Update On Apple TV 4. Alternatively, you can also grab tvOS 9.2 directly from the download link below.